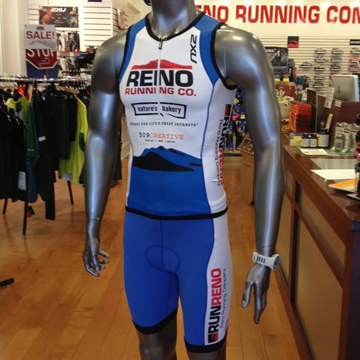 Reno Running Company approached us about designing custom branded triathlon suits they could offer sponsored athletes as well as sell in the store. We worked closely with Reno Running Company and 2XU, the clothing manufacturer, to come up with a classic design to showcase the Reno Running Company brand. This was 509 CREATIVE’s first time designing athletic wear and we are ecstatic with the way they turned out!